Video Lecture Content – Participants follow a series of instructor-designed, screen-capture videos that simulate traditional in-person lectures. Additional support is provided by chat boards, FAQs, and access to instructors via email. 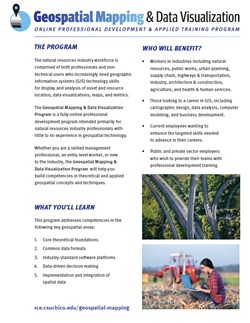 Applied Content – Participants utilize instructor-prepared materials to work through basic geospatial data manipulation and analysis on their personal computers, using free trial software. Assessment – Participants answer a series of multiple-choice questions at their own pace while working through module material to check their understanding. 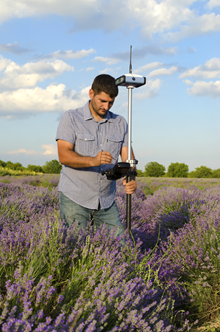 GIS Jobs of Today: Which GIS job skills are in highest demand?